It was all smiles and gasps of awe at last night's launch of Taubmans Paints inspirational Colour Look Books. The themed collections were created in collaboration with interior designer Shaynna Blaze, judge of The Block television series fame. 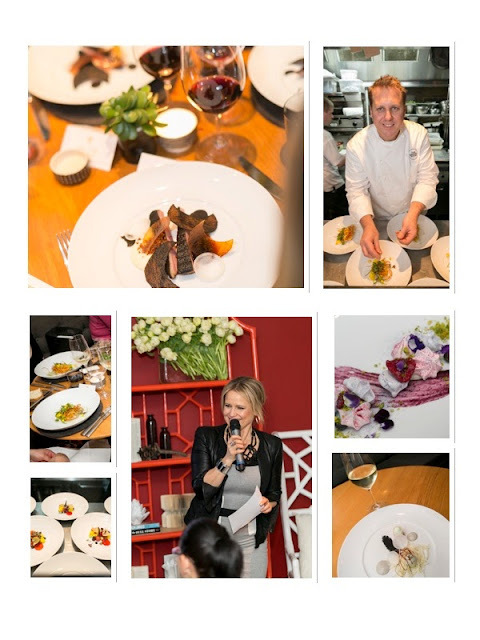 To mark the launch, Taubmans hosted an elegant degustation dinner at The Bridge Room in Sydney, and asked chef Ross Lusted to create a fusion of the complementary disciplines of Interiors and Gastronomy, drawing inspiration from the images in the look books. They will be available at Bunnings and leading paint and hardware stores from September 2013. Take a look at the pics below to see what all the 'fabulousness' was about.